This teaching by pastor Barry was given as part of our family service on 9th April 2017. 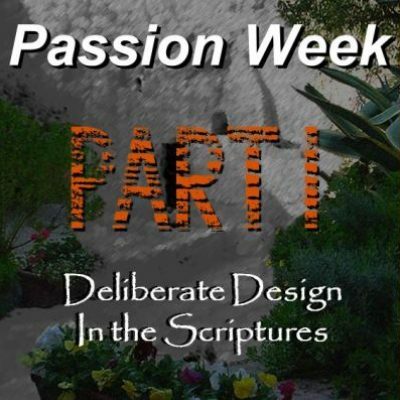 This is the first part of a 4-part study looking at Passion Week (the name we give to the last week Jesus spent with His disciples leading up to the Crucifixion and Resurrection). Some years ago I started studying the details of this week – more out of curiosity – as there had been a number of ideas presented about the ‘3 days and 3 nights’ and the question ‘When was Jesus crucified?’. Tradition, ever since the 4th century, has maintained that Jesus was crucified on the Friday (hence ‘Good Friday’). Other competent scholars have postulated that Jesus was actually crucified on the Wednesday. However, both of those positions have a number of problems when trying to reconcile with the Gospel accounts. Despite some valiant attempts, you just cannot shoehorn 3 days and 3 nights into Friday to Sunday. If we go with the Wednesday, we have to then believe the women sat at home all day on Friday rather than go to the tomb to anoint Jesus’ body, but then get up at the break of day on Sunday with a newly discovered sense of urgency! We will explore the details more thoroughly next week! However, as I started to study, I discovered something astounding; the details of Passion Week were all recorded in advance over a thousand years before they actually took place! This is staggering to comprehend, for there is no way Moses could have just guessed about events in the future! (Try guessing an event 1400 years in the future and give me the details, timings & location!). Abraham too acted out the ‘Passion Week’ prophecy a staggering 2000 years in advance of it actually happening! King David recorded the details of the crucifixion before crucifixion had been invented, and Daniel recorded the very day Jesus would ride into Jerusalem on the donkey over 500 years before, and wrote it down so that Israel would know when to expect their Messiah. He even told it to the wise men of Babylon (Magi) who were diligent enough to keep a close eye out, passing this stunning news down to subsequent generations until, at the right time, a delegation of their finest brought gifts to this new-born King! When we put all of this together we see undeniable evidence of God’s supernatural and deliberate design of Scripture and of His complete control of History. In Part one of this study we look at some of the incredible models laid down in the Feasts of Israel, and then ask the question, why didn’t Jesus want anyone to make Him known throughout His ministry until one particular day – Palm Sunday?